It would be impossible to discover everything that San Francisco has to offer in just one day, but with a local by your side you can certainly try! Discover the city’s highlights and the most famous sights, seeing its iconic landmarks and ticking the top spots off your SF bucket list. Even with only one day to explore, you can visit a few of the top attractions as well as a few secret local spots along the way! 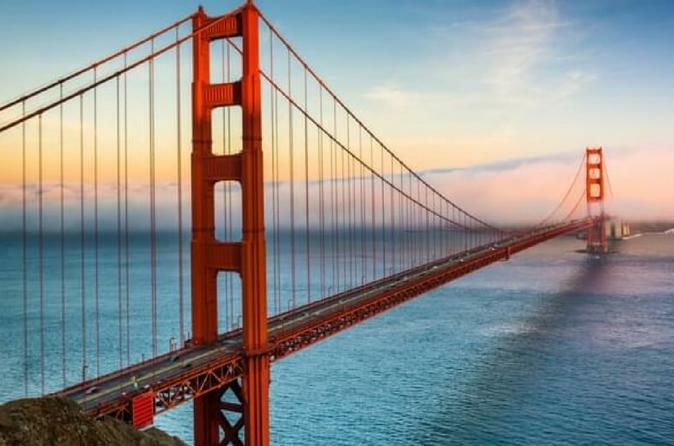 So get the best of both worlds as you see SF’s most famous sights like Pier 39, Golden Gate Park and Chinatown as well as hidden gems that are just around the corner that only the locals know about! Join a like-minded Local Host to discover some of San Francisco’s top attractions, its most charming architecture and endless parks, historic buildings and street art covered neighbourhoods - all through a local lens of course! Choose which of the city’s top attractions you’d most like to see, or let your local create a bespoke experience that includes all of the must-see attractions as well as the hidden local spots that are just around the corner. Discover unique views of the Golden Gate Bridge from locals’ favourite parks and clifftop lookouts, soak up the vibrant atmosphere at Pier 39, but also discover unique local neighbourhoods like Chinatown and hip area The Mission, and the spots nearby that only locals know about! Enjoy some authentic food from one the city’s many food trucks which are a staple of SF’s food scene, sip some of the best coffee in the city that’s roasted on site along with an artisanal donut or head to Fisherman’s Wharf to try the world famous seafood. Your Local Host will also advise you on the best way to spend the following days of your trip, allowing you to discover other areas of SF that you will love and revealing other hidden gems that they know you’ll love.